Image credit: book: "Social Saga of two Cities", by: Calvin F. Schmid, published 1937 - - Chart 94 - - Page 178. 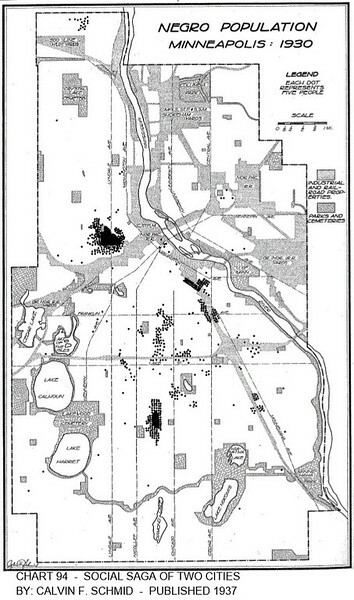 According to this graphic in Schmid's book, the North Minneapolis African American population in 1930 was concentrated just to the north and north-east of Finntown. The graphic shows that there was a small amount of overlap of the Finnish population and the African American population.